Sherri Snelling, CEO and founder of the Caregiving Club and author of A Cast of Caregivers – Celebrity Stories to Help You Prepare to Care, is a nationally recognized expert on America’s 65 million family caregivers with special emphasis on how to help caregivers balance self-care while caring for a loved one. The mission of Caregiving Club is to provide consulting services and content creation for organizations focused on helping caregivers achieve balance in physical health, emotional wellness and financial security. Sherri is a current contributor on caregiving news for PBS/Next Avenue, Forbes.com, Huff Post, USA Today, Caring.com, Stria, Thrive Global and other media outlets. In addition, she was the executive producer and host of a caregiver self-help reality cable TV program for NBC cable affiliate RLTV, Handle With Care (that was optioned by TLC). She currently serves as the Ambassador for the non-profit Caregiver Monday health and wellness campaign and creates and produces the Me Time MondaySM weekly videos. Sherri has interviewed celebrities about caregiving at red carpet events for AARP, Alzheimer’s Association, Carousel of Hope for Diabetes, MS Race to Erase MS and other galas. As a caregiving consultant, Sherri has developed programs and provided strategic insights for AARP, CareLinx, Disney, Entertainment Industry Foundation, First Republic, LifeCare, Martha Stewart Living, Motion Picture Television Fund, QVC, UnitedHealthFoundation, Wells Fargo and USC. Sherri is a frequent speaker at national conferences and corporate events on topics from her book, A Cast of Caregivers. She is represented by the prestigious American Program Bureau representing Mikhail Gorbachev, Sir Richard Branson and Diane Keaton among others. As a national caregiving expert Sherri has been featured on the CBS Evening News, ABC World Evening News, MSNBC, Fox Business Network, CNN and in the New York Times, USA Today, PARADE, Prevention and WebMD. She has served on the caregiving advisory councils for the White House Middle Class Task Force on Caregiving, Centers for Medicare and Medicaid Services (CMS) and the Centers for Disease Control (CDC). Sherri was also a representative to the United Nations International Caregiving Summit in 2009. Sherri was recognized as No. 4 on the Top 10 Influencers on Alzheimer’s by Sharecare, the online health and wellness experts site created by Dr. Mehmet Oz. She is the former Chairman of the National Alliance for Caregiving, the leading nonprofit caregiving research and advocacy organization based in Washington, D.C. and currently serves on the board of the local Alzheimer’s Association. 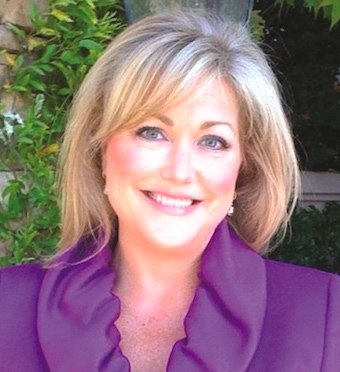 Sherri’s health care career includes executive director roles at Keck Medicine of USC and UnitedHealthcare where she specialized in digital health initiatives and strategic partnerships. Her early career was with technology companies including Canon, Nintendo and Atari. Sherri holds a B.A. in journalism and political science from the University of Southern California where she is finishing her master’s degree in gerontology.